Below is the lead story of our Winter 2015 Groundviews newsletter. To read the entire newsletter online, please visit our Groundviews webpage. 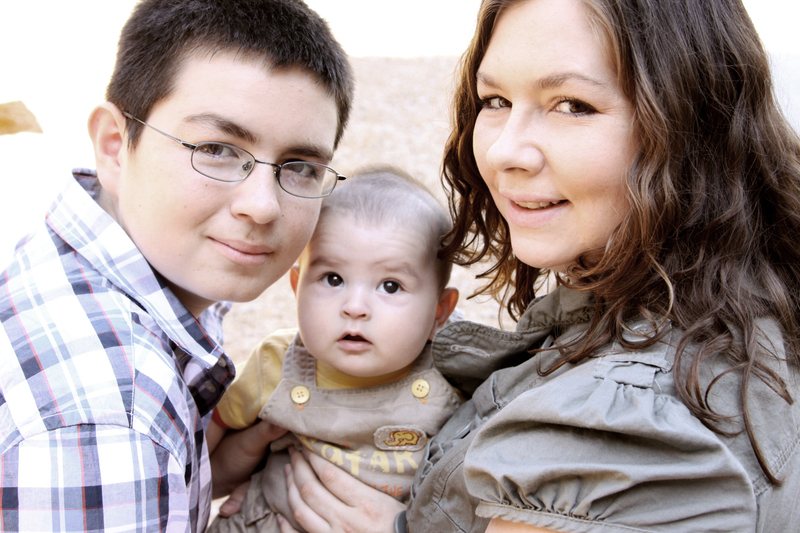 Today, Alena Rogers lives happily in permanent housing with her two boys, now 18 and nearly 5 years old, and she recently started a full-time graduate program in Couples & Family Therapy at Seattle’s Antioch University. But just five years ago, she was in a very different place. In her own words, Alena shares her powerful story and her experiences working with JourneyHome Case Manager Victoria Meissner and Housing Advocate Becky Armbruster to get back to housing stability. “In 2009 I entered a court-ordered treatment program after getting into trouble. While there, I came to understand that I could not go back and live with any of the people that I had been living with, or I would not stay sober. So I heard about a shelter in Seattle and was able to get in there. After completing their 14-month program, I went into their transitional housing program. However, they seemed unable to help me with my quest for permanent housing, so I searched for resources on my own and found Solid Ground. Being homeless is very stressful. In transitional housing, I was grateful for the place I had, but having two children and a clock ticking every day really took a toll on me. I was constantly stressed out as each day wound down and took me closer to the day I would have to leave, knowing I still didn’t have anywhere to go. I ended up leaving there and moving into a modified garage. And I’m thankful for that. But that also took a toll. I had two boys in a very small space; the only thing to cook with was a hotplate; there was a drafty garage door and cement floor. It was very cold. 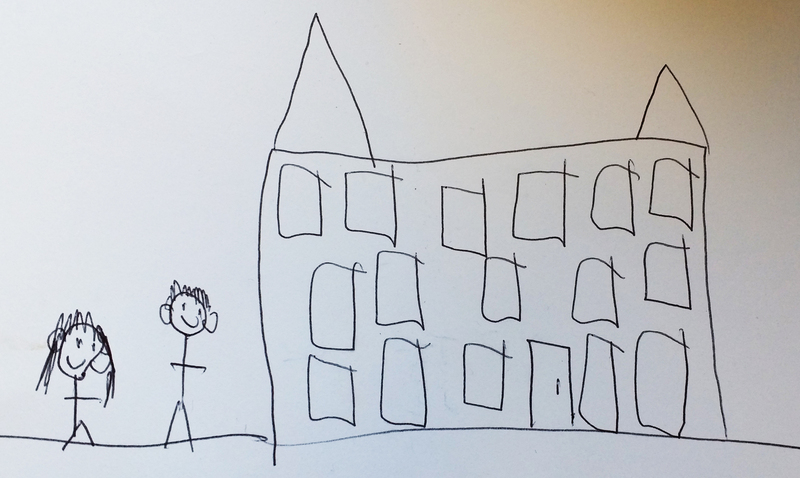 I was going to school, working, and trying to hold my home together – and I was struggling. My younger son was having a really hard time with the change and had some behavioral problems. My teen was also in college at the time – doing Running Start. We were both struggling to focus, and I nearly dropped out. But I communicated what was going on to my instructors, received support, and made it through. It feels great that even when things were so challenging, both myself and my son were able to complete our degrees, and we never gave up. Solid Ground/JourneyHome was different than the transitional housing program, because they actually had resources. 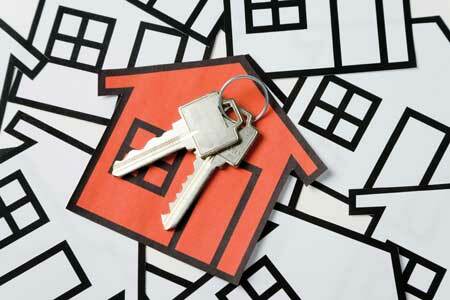 The other program said housing was not priority – living in Christian community was. That’s all fine, but when time is up and a person that has been experiencing homelessness is still left without permanent housing – what good is that? Victoria had a plan for me laid out the day we met – doing budgets, getting credit reports, working on repairing and improving credit. All of those things, combined with actual resources for not only temporary funding but also landlords that will rent to people like me – with criminal backgrounds and not so great credit – it’s what I needed. One thing I really liked about Victoria is she always treated me as an equal. She was really encouraging. She let me know that my criminal record wasn’t as bad as I thought. Sometimes people will look at you – you’re a recovering addict, you’re homeless, you’ve got kids, and you’ve got a criminal history – and they speak down to you or like you’re not intelligent. Victoria was never like that. I always felt like she respected me. There were two main barriers I faced: One, my criminal history. And two, having enough cash for move-in. What I learned from Victoria was that private landlords are more likely to rent to people with histories like mine, and screening companies at corporately-run apartment complexes will automatically deny us. So I spent time on Craigslist sending emails to private landlords, telling them my history up front so I wasn’t wasting time and money doing applications that would be denied. I was able to use the tools I learned from Solid Ground to find an apartment on my own. Once I did that, Becky was able to help me with the first and last months’ rent and deposit, and subsidized my rent for several months through a partnering agency, so that I could get stable. Moving into my own place – it was like a huge weight off my shoulders. Being somewhere that is mine, and I don’t have to worry about time running out – I can just say that I am a lot happier now. I’ve been doing drug and alcohol case management work for about three years now. Having come from a place of being an addict, being homeless – it helps in my work. People feel that I can understand where they are and what they are experiencing. I also volunteer, doing something I call “Operation Help the Homeless.” I gather items from people: clothing, blankets, food, etc. and go out into the streets and give to people sleeping rough. I find this important, because homelessness isn’t going away – and often people on the streets are pretty much ignored most of the year outside of the holidays. So I love to get out there and let people know that we care. Visit the JourneyHome webpage for more info on the program. Customers in line at the Fremont Food Bank, circa 1987; the Food Bank was transferred to FamilyWorks in 1999. For more than 40 years, Solid Ground and its predecessor, the Fremont Public Association, have been feeding a hungry community and promoting food justice. In 1974, our Fremont Food Bank was one of the first in Seattle’s north end. But it takes more than distributing food to fully address hunger. So we started working with food banks, educators, chefs and businesses to help families develop skills to improve their food security and build lifelong healthy eating habits. 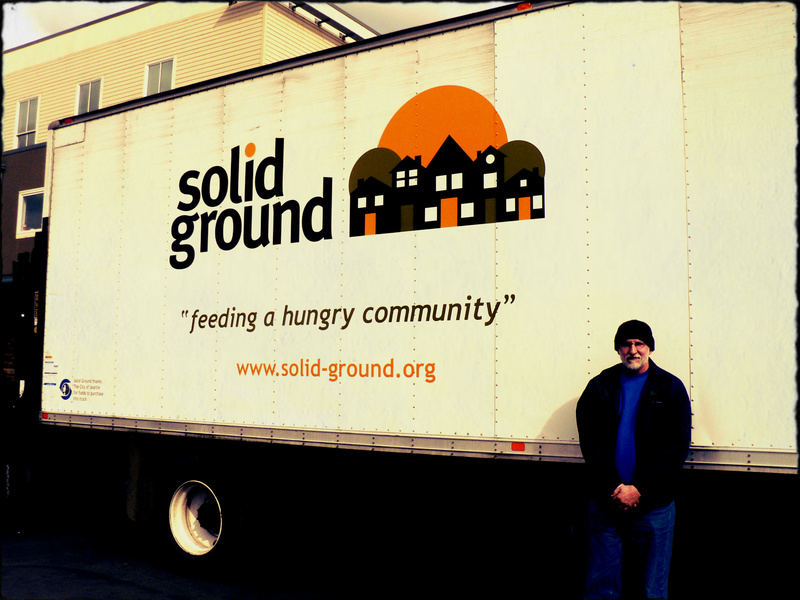 Solid Ground’s Food Resources transports produce to local food banks throughout Seattle. In 1979, we partnered with the City of Seattle to create Food Resources, which developed into the backbone of the Seattle food bank system, providing administrative and technical support and transportation. In the late 1980s we organized Lettuce Link to support P-Patch community gardeners and other backyard gardeners to grow produce for local food banks, and to provide seeds and vegetable starts for families who patronized food banks, supporting them in growing their own food – but the need for fresh produce was far greater. Solid Ground now operates farms in the South Park neighborhood and at the Rainier Vista housing community. So in the mid-1990s we partnered with community groups and spearheaded the Marra Farm Coalition to steward one of two remaining original farmland sites in Seattle at Marra Farm. There, hundreds of volunteers a year tend our Giving Garden to grow organic produce for people with limited access to nutritious produce, and we engage people in organic gardening, food justice and environmental stewardship. 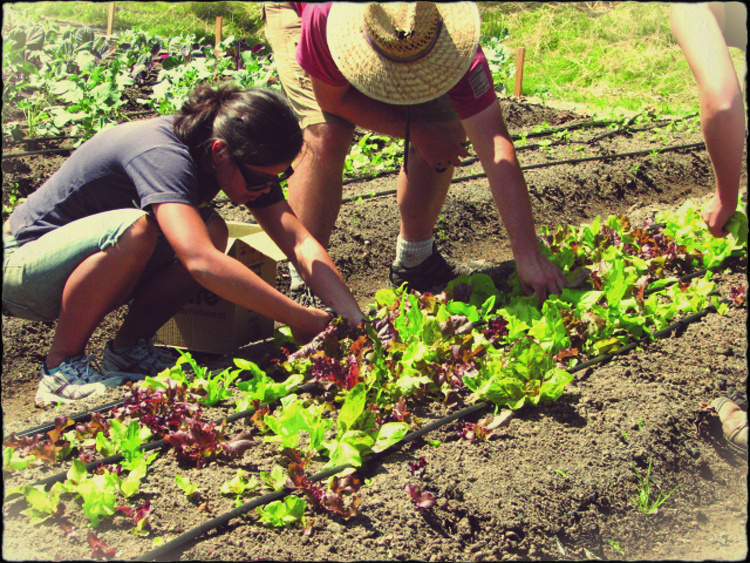 The Giving Garden produces about 25,000 pounds of fresh organic produce each year. In 2011, we opened a second urban growing operation adjacent to the Rainier Vista housing development, Seattle Community Farm, which provides education and inspiration while engaging the local community in growing fresh produce to support food security in Southeast Seattle. 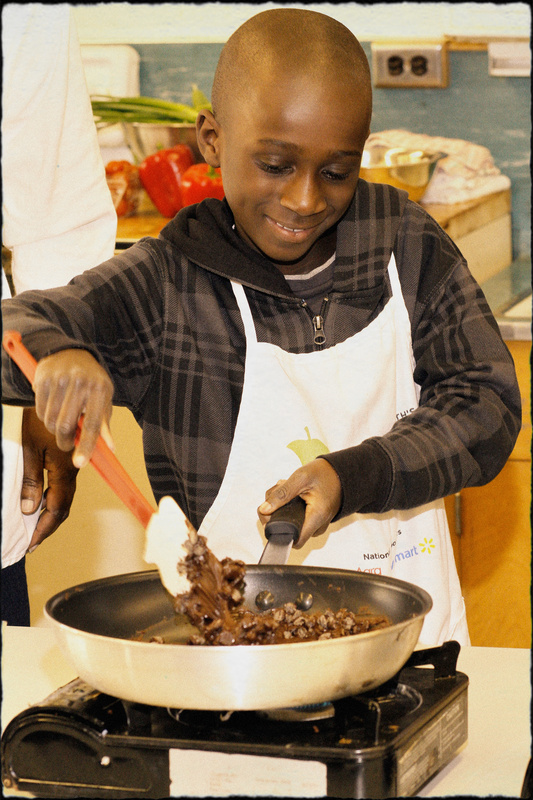 Cooking Matters builds community through hands-on nutrition education. During the mid-1990s we also launched a partnership with the national anti-hunger organization Share Our Strength to bring Operation Frontline (now Cooking Matters) classes into our community. These six-week courses are presented at community-based partner organizations throughout Western Washington. 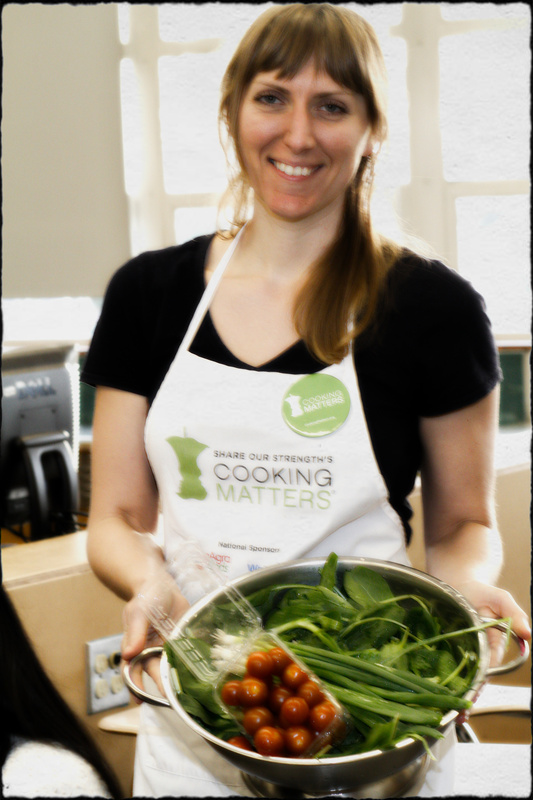 They utilize volunteer chefs and nutritionists to support healthy cooking skills, nutrition education and food budgeting. Share Our Strength was also our partner in turning the Fremont Food Bank into the region’s first Super Pantry, which married emergency food and a full array of family support services. The Super Pantry eventually spun off as a stand-alone nonprofit, FamilyWorks. 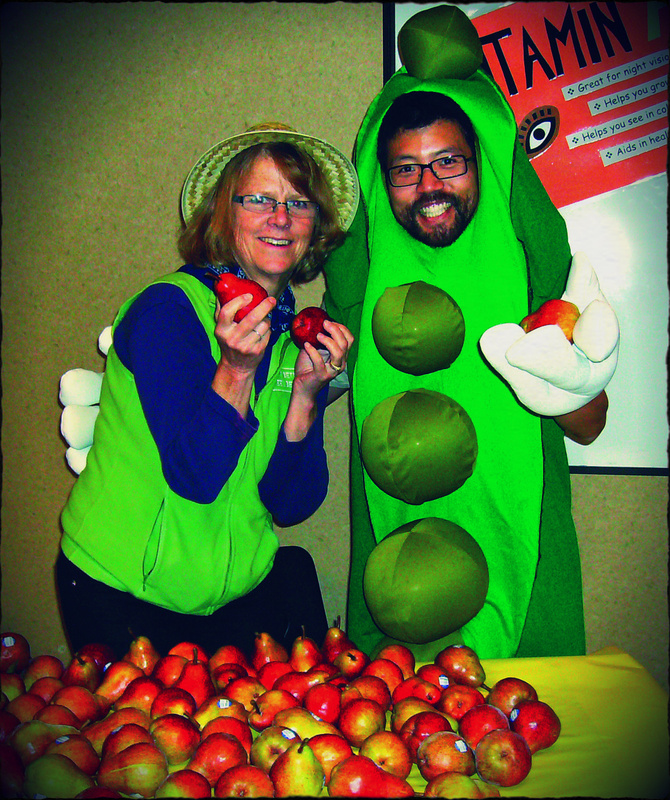 In 2005, our nutrition education and skill-building efforts expanded into local schools through the Apple Corps, which uses national service teams to address the root causes of hunger and other health inequities in low-income communities. Apple Corps Market Night at a local elementary school. The Giving Garden at Marra is our outdoor classroom. Students from Concord International Elementary School and other partner organizations learn about environmental issues in their community as they also learn to garden and prepare nutritious food. Our work in schools and with other community organizations is an important aspect of a growing movement towards a sustainable food system that is equitable for all. We believe that ending hunger and creating equitable access to healthy food starts with breaking bread together. It draws on the experience and expertise of many organizations, community groups and individuals. And over 40 years, the education and access supported by Solid Ground helps empower people to achieve food justice. For more information about this work and how you or your group can get involved, contact Gerald Wright, Hunger & Food Resources Director. Children living through homelessness require a variety of services to meet their basic needs, such as nutritious meals, a warm bed, and school supplies. Often, however, the experiences of homelessness permeate far deeper than tangible support can reach. At the beginning of last year, the City of Seattle selected Solid Ground’s Broadview program (emergency and transitional housing for women and children) to implement a pilot that provides coordinated behavioral health services for children in transitional housing. According to Symone, Children’s Program Supervisor at Broadview, there isn’t another application of this type of service, to this extent, in transitional housing. Children of families experiencing homelessness are exposed to the same stress and trauma as their parents, such as constant uncertainty, hunger, fear and even violence and abuse. Despite this, it is rare that children – having had their physical needs met – receive the psychological care they need to cope. While the child therapy services are full, the pilot also provides a Parenting Support Group with a trauma-informed curriculum five to six times a month. Symone states that this service is “really popular among the families.” Families are encouraged to attend at least 10 sessions during their stay at Broadview so that they can understand how the experience of homelessness is affecting their children and learn how best to support them. 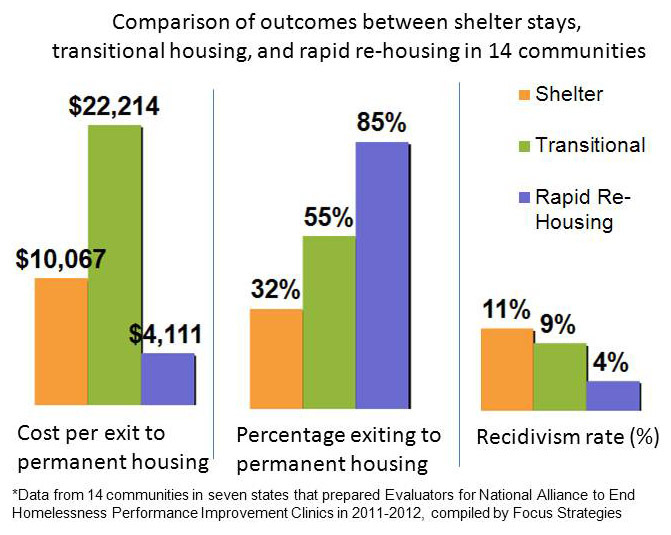 Rapid Re-Housing: The transition to permanent housing got a lot faster! Solid Ground is participating in King County’s new Rapid Re-Housing for Families pilot created to help homeless families achieve stability. Rapid re-housing works to shorten the time families and individuals spend in homelessness, and provides the tools they need to stabilize their lives in permanent housing. Instead of weeks spent in shelters, and months or years spent in already-packed transitional housing programs, rapid re-housing addresses the causes of homelessness with tailored case management, housing services and employment assistance. Rapid re-housing pilots and programs conducted across the nation show promising results. A study of 14 communities in seven states, produced by the National Alliance to End Homelessness, revealed that 85% of families participating in rapid re-housing programs exited into permanent housing. Of these families, only 4% returned to homelessness within the year. In comparison, only a little more than half the families in transitional housing made the move to permanent housing; 11% of those who transitioned were homeless by the end of the year. Building Changes, King County DCHS, United Way, City of Seattle Human Services Department, and Seattle and King County Housing Authorities are funding the Rapid Re-Housing for Families pilot that launched in November 2013. Career Connections, Neighborhood House and YWCA will provide Employment Navigators for the pilot. These Navigators will work with other resources already in place, such as WorkSource, to help families find employment and build skills with job training and education. In 2012, the Washington State Department of Commerce released a study on Employment Outcomes Associated with Rapid Re-Housing Assistance for Homeless DSHS Clients in Washington State. According to the research, rapid re-housing halted the upward trend in unemployment, and clients earned more than other homeless families not in the program and were more likely to be employed a year after intervention. Whether through a sudden crisis such as job loss or a medical emergency, for many, homelessness is an isolated incident. Since there are a myriad of causes of homelessness and barriers that prevent the transition to permanent housing, there cannot be just one way to prevent or remedy it. Rapid re-housing, for some, may be all they need to get back on their feet. For others, it could take long years of intensive support and assistance to get to that point. The more options available to those experiencing homelessness, the higher the likelihood they will overcome it.